Horrible play to end Denver game. You inbound the ball to Jimmy who is your superstar and you let him decide to get the shot he wants or give it up. Sam: It’s as the players talked about after the game the ultimate second guess; if the shot goes in, there’s a celebration for Canaan as an amazing find and Hoiberg for defying convention when everyone knew where the ball was going and they were prepared and going to make it difficult. And the Bulls did get an open shot for a three to win the game. That’s hardly a felony on the road. There were other larger issues in that game readers had problems with. But you could see Fred Hoiberg was troubled by this one and the outcome; he kept bringing up he had to do better when reporters really weren’t grilling him that much on it. It’s a choice and you live with it and move on. It’s November, after all. Which is another part of the equation. 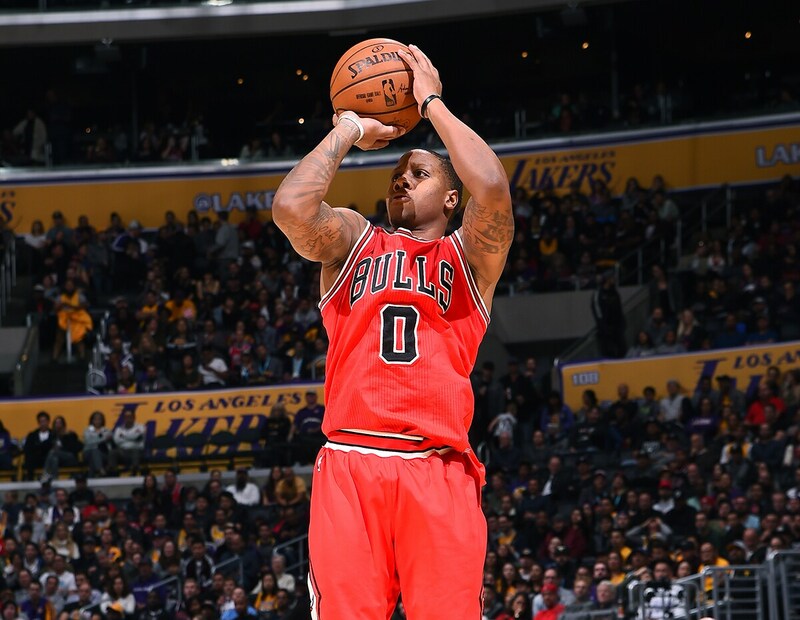 As Hoiberg noted, Canaan made that shot on the same play Saturday. I didn’t have a huge problem with it and actually thought Hoiberg was too tough on himself. He got someone who was one of their best three-point shooters available an open shot for a win in the last five seconds. He also showed faith in more than one or two guys on the roster. You can nit pick over it, but it wasn’t an unreasonable choice. Wow bad loss in Denver! Yes we're on the road but still it's a bad loss. I like the attitude of the team in the post interviews in owning it, staying together and being positive but still...bad loss in Denver! I know we aren't quite a championship type team but I hope the loss eats at us a little more than what it seems. Especially to Butler who has been amazing and really taken his game to the next level. What he now needs is that killer drive inside to win at all costs. Get a bit of MJ in him. MJ would have been ropeable and then would come out and scored 50 the next night. Sam: That being the 10th straight loss in Denver and 15th in the last 16 against a physical team on the road toward the end of the trip, I’d hardly categorize it as so bad for a team that you say isn’t quite championship. It’s truly been an impressive trip thus far, down to the wire losses on the road (by far having played the most road games in the East) against the team with the best record in the league and a young team that’s had some good wins. The Bulls lost that one with that reserve meltdown in the second quarter, two of the top three reserves out. The bench had performed reasonably well much of this season, but for some reason they were passive and tentative that game, throwing the ball back to Wade who was getting all the defensive pressure instead of being aggressive. You could ask about leaving Wade with four reserves, but Hoiberg is doing an excellent job balancing playing time early in the season. You can see Hoiberg also has been changing reserve rotations frequently based on matchups, as usual, but also after players have produced and still seeing who works better with whom. You have to use this part of the season to find these things out, especially with so many new players. This is the first time in years I can recall no Bulls player among the league leaders in minutes. It really was a pretty good loss, taking that hit on the road and unlike previous years not collapsing and coming back to have a shot at a win with five seconds in a tough place to play in the fifth of six straight road games. It actually bodes well for moving forward. How much more of rondo do we have to sit thru this season? Will grant ever play over him or does rondo have to be injured for that to happen again? Grant is better than him. Sam: No offense to you or Grant, but he isn’t. Grant has done some nice things, especially on defense. But Rondo has been mostly very good this season, pushing the ball effectively, the Bulls scoring and pace well up, and getting big time rebounds like he did against Denver in crucial spots. Sure, he gambles maybe more than you’d like on defense and at the end of games can be uncertain because of his free throw shooting and not being guarded as much. The Bulls primary position concern early was backup point guard, and Michael Carter-Williams was a good addition but quickly injured. He should be back in a week or so along with McDermott. You want to see more of Grant at certain times to see if he can hold up at more significant times. But he doesn’t yet run a team nearly as well as Rondo nor has the decision making ability. Rondo’s been an excellent overall addition, and the return of Carter-Williams should give Hoiberg some options that have been missing. Writing about Dwayne Wade’s leadership in his “Ask Sam” column (11/18/16), Sam stated: “Media and fans tend to force leadership on players if they are among the best on the team. True leadership cannot be taught. Either you are or you are not.” I agree, and nominate Derrick Rose as an example of a star player who couldn’t lead, no matter how much the media wanted him to assume that role. Noah had strong leadership skills, but was frequently injured during his last years with the Bulls. Last year’s team, despite reasonable talent and Jimmy’s attempts to fill the void, lacked leadership. Wade’s leadership, including his accommodations for Butler and Hoiberg, is a key difference between last year’s underachievement and this season’s solid start. Sam: Who is that guy? Of course, the Bulls have basically the same record as last season at this point (9-5 at the end of the circus trip), but I’ll stick with the positive for now. Yes, it is a group with better chemistry and perhaps outlook, but last year’s team was essentially a last dance, as Phil Jackson might put it. It was win or be broken up, more like herding cats for a new coach. And from your rotation you lose both Noah and Dunleavy for half the season; Mirotic for almost as much and Butler for a month and he later admitted for the month he returned he couldn’t play effectively, which is why he talked about being the point guard. That’s hardly a disgrace, but by missing the playoffs they sealed their fate, and it was time. This “leadership” demand from media and fans is specious. There are perhaps 20-25 teams in the NBA without a leader. Hardly anyone has one because there are few people anywhere like that. Who’s the leader at your office? Your church group? Your fantasy league? Most don’t have one because of the elements of the winning and willing personality, the resume, the daily commitment and the universal respect. And then you have to produce as well. Most teams end up saying the coach is the leader because no one else is and he talks the most to the media. Other than LeBron on the Cavs, I don’t see a team in the East with a true leader. Other than Wade with the Bulls, of course. Stephen Curry? Sort of. Certainly not Durant. Chris Paul? Maybe, but we always heard how Griffin and DeAndre Jordan didn’t care for his griping at them all the time and then coming up small in the playoffs. Sure Michael Jordan griped, too, but then he produced big. Is Kawhi Leonard a leader? I haven’t seen him say anything to anyone on the court in three years. And before that it was asking where to stand. Getting a double/double regularly and playing for USA teams? 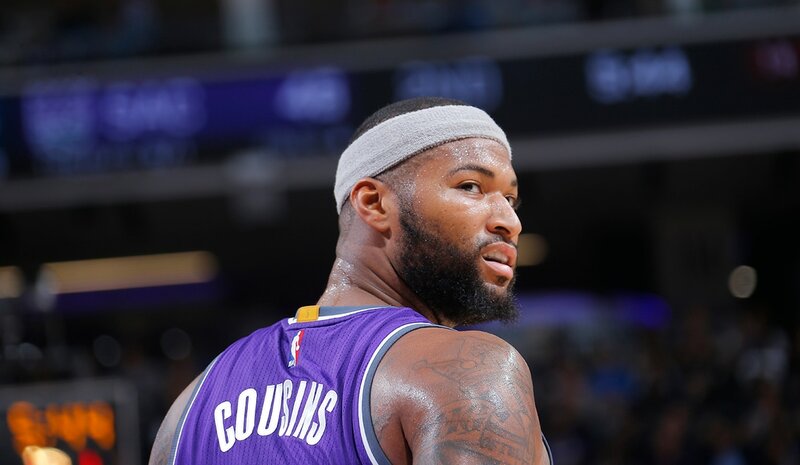 Sure, leader DeMarcus Cousins? It seems to me Mirotic is the key to the Bulls this year. I was down on him in preseason for the exact things we see today, mainly inconsistency. However, when he is hitting shots and confident, it brings this team to another level. He is the first big off the bench and we need him to stay consistent and not get too psyched out when he misses his first shot. I could be wrong, and he could just be one of those wildly inconsistent players, but it looks like it is all mental with him. One night he has 15 points and 15 rebounds and the next night he is 1-7 and the rest of his play suffers as well. I hope he can find consistency and confidence because if he plays like he can and scores 15 a game off the bench, that could be the difference between a deep playoff run and early exit in my opinion. It still strikes me as a lot to ask as “key to the year” for a player who hasn’t played one full NBA season yet as a regular in the rotation. If he does those things I see it more as a bonus. Look, this was a European player selected in the bottom third of the first round who barely spoke English two years ago. He’s still not in a regular spot as he isn’t always first in and in Denver was again playing against small forwards, not his strength or position. I think it’s more to his credit that he adapts and tries to perform at whatever he’s asked to do. He’s had some excellent games, but is inconsistent because players in the position I described with that experience are inconsistent by definition. He works hard, he tries, he cares, he suffers with his weaknesses and is committed to helping the team. He’s also a threat with his shooting and defensive rebounding. He’s not the difference; he’s part of the answer. Am I correct in assuming that management and Hoiberg agreed to play Portis no matter what? Because he just looks consistently like he's not ready for NBA minutes. It seems every time he comes in the other team goes on a run. Felicio isn't great, but Portis stands out for being lost. Sam: I don’t believe management has much to do with it. I think what Hoiberg is trying to do is what many have long asked: You have young players with potential. If you don’t give them a chance to play and put them in crucial situation, how will you ever know what they can do or whether they can help? Agreed Portis is hardly sophisticated as a player, this being the first season he’s getting much playing time, and still not much. In the short term, you’d say you wanted to see more Lopez when Portis played basically the entire fourth quarter in the loss to the Clippers. But the Bulls still were right there at the end. And as I agree with Wade about that stupid last two-minute report, I still believe Butler didn’t foul renowned flopper Griffin. And, really, you know Hoiberg maybe said gosh. To be thrown out? C’mon. I think Hoiberg knows what he’ll get from Felicio, which are some good things like activity on defense. But he’s not scoring much and I think Hoiberg is trying to get that shooting we see in summer league out of Portis, who so far has been reluctant and uncertain. No surprise for a young player who hasn’t played much. Look, if you are going to have a lot of young players as fans often call for you have to be patient with situations like that. Again, a player drafted in the bottom third of the first round. Good to see Bobby Portis getting big minutes in the 4th QU - he needs to be more assertive both in developing that long range shot to pull defenders out (look how Speighth shot for LA). And for Bobby to be even more active in rebounds. Mirotic is still a bit shy for a guy who was an MVP in Europe- still looks like he's adjusting culturally to being an American/ NBA player. He has that long body - hopefully he starts defending with more length, using those long arms and body - he needs belief in his body-control and athleticism. He looks a little tentative at times. Mirotic is a good passer and hopefully he gains confidence in everything. When Butler, Rondo and Wade create, they need a confident guy like Doug to get off a quality shot - so you don't wind up with Rondo shooting with the clock winding down. Sam: See, there are a variety of opinions. Just like last season, you have to judge what you have when you have it since all teams have injuries. And not that McDermott will save the season or has to. But he’s missed, especially on a team with as we were told so often so little shooting that winning 40 games would be almost impossible. It’s too soon to strut about it, but the Bulls have shown themselves to not only be a competitive team, but that conventional wisdom is what you make it. Good coaching and management is not doing what the most successful are doing, but taking what you have and putting them in position to be as good as they can be, which the Bulls seem to be doing well. Mostly a mid range game gets a lot of pooh poohing from the liberal elite math snobs (not sure they are liberal elite, but that helps motivate the base, as we are told), but there are so many elements to success that cannot be quantified, especially in basketball. The team camaraderie, the personal sacrifice on the floor, the unity of commitment. Though none of us want Rondo shooting with the clock winding down; I’m assuming his family as well. Knowing that this is your specialty and all do you see any players on the trade market that the Bulls might acquire who could get them past the Cavs into the NBA Finals. Its never too early for some trade ideas. Sam: I don’t do as much of that as I used to without writing an NBA column anymore, though the internet has stolen my gig and as the internet does, it’s drained whatever credibility may have once existed. Is Kevin Garnett finally available? 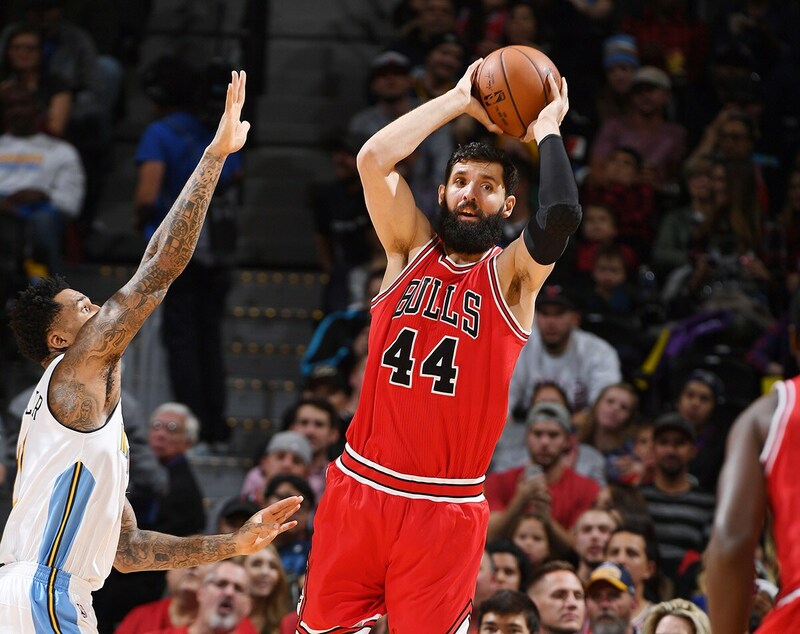 The Bulls biggest needs now probably are a perimeter shooter and backup point guard, maybe players like Doug McDermott and Michael Carter-Williams. Their roster really doesn’t lend itself to any serious trades with Butler and Wade untouchable and mostly younger reserves learning. The guy who everyone talked about before the season and nobody does now is Taj Gibson. He’ll be an unrestricted free agent and the notion was come trade deadline it would be time to get something and install Mirotic. Sure, stuff happens in the NBA, but the way Gibson is playing and as valuable a player and teammate as he’s been, a rock in the starting lineup, a teammate who perhaps embodies what the Bulls have been this last decade as much as anyone and the Bulls looking like some sort of contender in the East, it’s difficult to see a scenario trading Gibson that would make the team better. It certainly would make the lives of all media members worse. He’s always been as standup a guy as the team has had. I would like to see this team play for more than a month, and a better one than anyone said it would be thus far. It's too bad we didn't get Wade when he was younger. If he wants to come off the bench at 36, though, I'd still give him a look. The guy's a winner. I maybe didn't even realize how much until now. The Utah game is the perfect example. Last season, they would've let that lead slip away. Maybe Rose would have thrown up a couple 3's and missed. Lest we forget... Taj's block at the arc was excellent! Blocked the shot, retrieved the ball and passed ahead for the score. Sweet! Sam: There really aren’t many more impressive people around the NBA. You never really know someone until you live with them, which we’re not doing with Wade. But watching him on a regular basis provides an insight that you cannot get from the occasional All-Star appearance or the games as an opponent, many of which were so hotly contested, especially in the LeBron/Miami times. It’s the little things as well as the big things that make him the rare leader and inspirational figure. Enough with the shots at Rose, by the way. I never saw anything but him trying to win games, however diminished he became with injuries suffered, as I’ve noted many times, trying to win games. But you are correct that this is the type of person you want to keep around your organization. Even the little things, which are big things. Like when Butler the other day was named Eastern Conference Player of the Week. Hoiberg said the team had gone out to lunch in Los Angeles at a restaurant Wade was involved in. Wade learned of the honor and announced it to the restaurant to cheers for Butler. Not only don’t people often do that, but less so when you are so accomplished yourself. They often expect the cheers. That Wade takes so much pride in teammates is an exceptional quality. He’s got myriad business interests and now you see Bulls players all wearing special sandals, gifts from Wade. He hardly needs to curry favor that way, but he also seems to like to use it as another way of bonding. I continue to be amazed at the way he is so gracious to media in a way Jordan was early in his career, as accessible to those he doesn’t know. He answers to you like you are the only one there, a trait rare among athletes and celebrities. He acts like you feel you would if you were a celebrity. You often see athletes and entertainers ignore fans or be abrupt with media and think if you were ever famous you wouldn’t act that way. You also don’t know the pull on these people. But Wade does behave like you think you would with an easy humor and directness, not particularly worried about having to say the thing he feels you want to hear, casual and comfortable with the fame, not acting like he’s more important, though with the appropriate detachment. He has a relaxed candor I have rarely witnessed, like in L.A. when he casually explained his conversation with official Marc Davis after the controversial call against Butler, sounding like a seasoned international diplomat seeking something for the greater good. For now, the Bulls need him more than the Trump administration, but Trump would seem better served with someone with the dignity, respect, selflessness and compassion that Wade has displayed with the Bulls. Rumor has it the Celts asked Isaiah Thomas about how he felt about them acquiring Cousins should he become available and he was very against it. Not shocking. Anyone who has played with him at one point will agree with IT. Sam: Not that the folks who talk on TV know that much, sort of like the folks who talked on TV about the presidential election. But this constant refrain about the value and importance and excellence of Cousins is amazing. Most anyone who has been around him or played with him will tell you that you cannot have any modicum of success with him, that he’s oblivious to how to play basketball, what winning basketball is about, that his attitude and selfishness poison a locker room and that his grandiose statistics are meaningless toward success. How is it everyone else’s fault? There has to be some issue if a guy is supposedly all-NBA and never can win 40 games. Then how can you be all-NBA? Or an All-Star? Doesn’t winning mean something? It does finally seem time, though. Perhaps he’s salvageable. Someone will think so. Benoit Benjamin, Michael Olowokandi and Joe Barry Carroll among others played for several different teams. Though I think for someone like Cousins you need big time star teams, like the Warriors or playing with LeBron, for him to be useful. Like when he was playing with USA Basketball. With a strong coach and players even he could see were better than him he did play a decent role for the betterment of the team. What never made sense in Sacramento is they had the new building that would sell tickets this year. They didn’t need him. It’s probably approaching the time when even they have had enough. Though my greatest concern is with my old friend Jerry Reynolds, the former coach, GM, roastmaster, second most famous guy from French Lick, Ind., and now Kings color commentator, who has pretend on the air Cousins is actually helping the team and not a hindrance to all children trying to learn to love basketball. Free Jerry Reynolds! Free Jerry Reynolds!